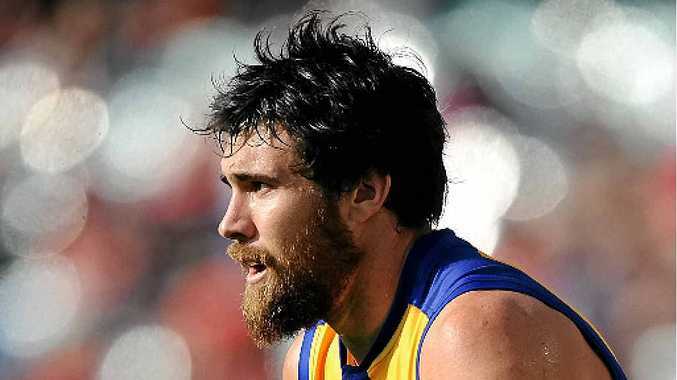 THREE goals in the opening term from Josh Kennedy provided the spark as West Coast hammered Greater Western Sydney 30.8 (188) to 12.5 (77) at Patersons Stadium in Perth yesterday. Kennedy finished with an amazing 11 goals as the Eagles blew the Giants away after leading by 24 at the first break. After dominating the opening term the 26-year-old continued to impress, bagging his fifth goal in the 10th minute of the second quarter. The Giants fought back, kicking four goals to three leading up to the main break but there was little relief. Kennedy kicked his next major halfway through the third term to re-ignite the Eagles, the home side leading by 74 at three-quarter time after nailing seven goals to two in the period. Kennedy's seventh goal was a magnificent effort from 60m out - the ball sailing through the posts after he hit it sweetly. The rout continued in the final term with the hosts kicking nine goals to three for a club record 30 goals.